Bring some charm to your backyard with the Malibu Playhouse by Gorilla Playsets. This playhouse offers up to 6’ of headroom and has two large window openings which are great for make-believe! Perfect for indoor or outdoor use, the Little Cottage 4x4 Sweetbriar Cottage Wood Playhouse will be a fun hideout for your children. Cute Victorian-style design meets your children's fantasies of playing in the best playhouse ever in the Little Cottage Company Victorian Playhouse. 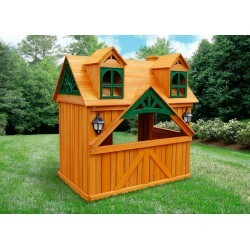 The Little Cottage 4x6 ft. Cape Cod Wood Playhouse has an absolutely charming look both you and your child will love. 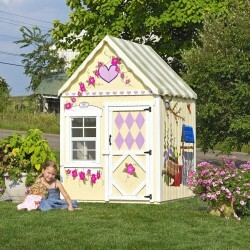 The Little Cottage 6x8 ft. Victorian Wood Playhouse is a charming retreat your child will love. The magnificent 8' x 8' Gingerbread playhouse kit by Little Cottage Company, the country's leading maker of wonderful children's playhouses, is sure to bring years of joy to your kids. Bring the classic charm of Cape Cod architecture home with the Little Cottage 6x8 ft. Cape Cod Wood Playhouse. This high-quality playhouse is designed for years of imaginative play, and is sure to delight your child. 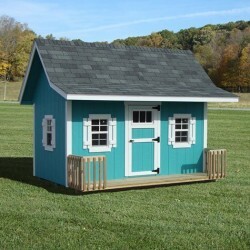 The Little Cottage 8x8 Wood Stratford Schoolhouse Playhouse is a charming addition to any child's playtime. 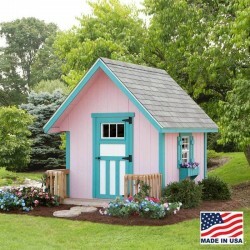 The Little Cottage 8x8 ft. Victorian Wood Playhouse is a charming retreat your child will love. 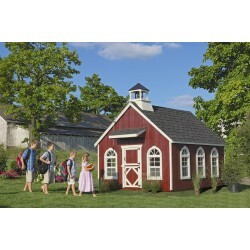 The Little Cottage 8x10 Wood Stratford Schoolhouse Playhouse is a charming addition to any child's playtime. The magnificent 8' x 10' Gingerbread playhouse kit by Little Cottage Company, the country's leading maker of wonderful children's playhouses, is sure to bring years of joy to your kids. 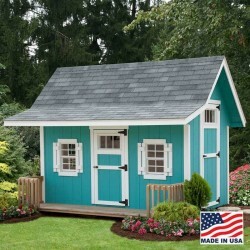 Bring the classic charm of Cape Cod architecture home with the Little Cottage 8x8 ft. Cape Cod Wood Playhouse. This high-quality playhouse is designed for years of imaginative play, and is sure to delight your child. 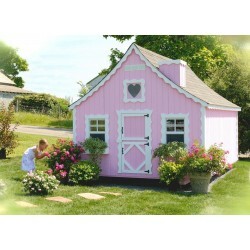 The Little Cottage 8x10 ft. Victorian Wood Playhouse is a charming retreat your child will love. The magnificent 8' x 12' Gingerbread playhouse kit by Little Cottage Company, the country's leading maker of wonderful children's playhouses, is sure to bring years of joy to your kids. 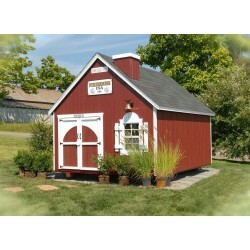 The Little Cottage 8x12 Wood Stratford Schoolhouse Playhouse is a charming addition to any child's playtime. 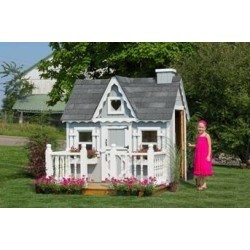 Bring the classic charm of Cape Cod architecture home with the Little Cottage 8x10 ft. Cape Cod Wood Playhouse. This high-quality playhouse is designed for years of imaginative play, and is sure to delight your child. The Fire Bell will be ringing! Your children will love to pretend in our quality constructed wood playhouse diy kit.